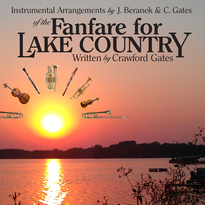 Featuring: Theme, Prelude, Nocturne and full Fanfare for Lake Country Instrumental Arrangements by Jacob Beranek and Crawford Gates. Recorded on the 1728 'Thunis' Stradivarius. Click Here to order CDs. 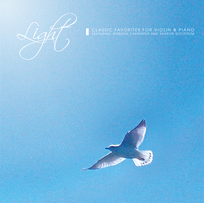 This gentle, uplifting mix of highly requested short repertoire includes both famous melodies and charming dance movements. This long-time duo is happy to share 'nuggets from their musical vault' with you! Now available locally and online. Click here for the 'Light' flier and ordering. For ZMI Recordings, click here. For the OCO Fanfare Audio Download, click here. For ZMI Recordings on YouTube, click here. The Dvorak Recording is now in the Finals of the American Prize Awards competition. All ZMI Recordings and Fanfare Sheet Music available.